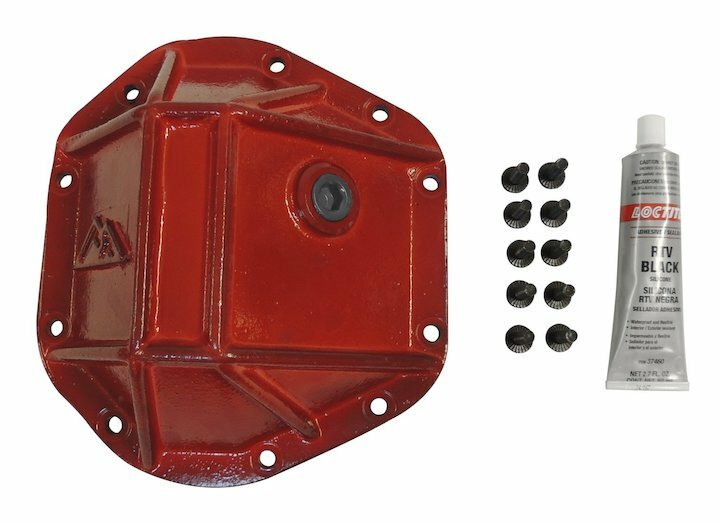 3/8" thick Heavy Duty Dana 44 Differential Cover made of forged steel with ribs to increase strength. Fluid fill plug is located higher than the stock cover to increase fluid capacity. Features a red power coat finish. Mounting surfaces are machined flat to ensure a leak free seal.